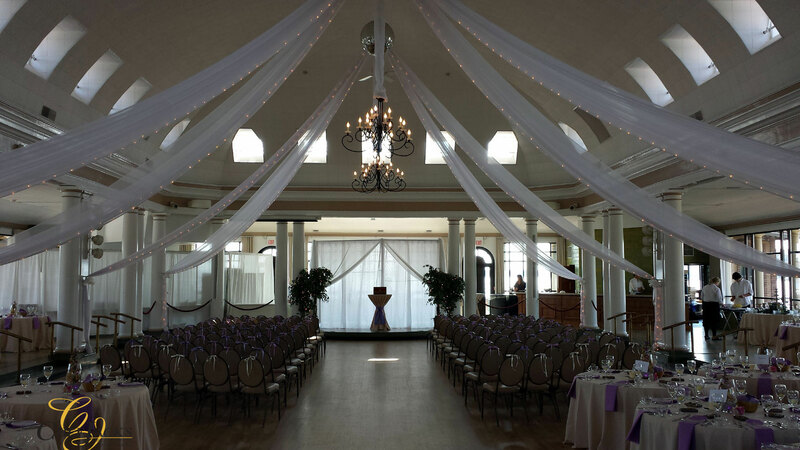 Step into the past in the spacious, comfortable and historic Lake Geneva Riviera Ballroom. 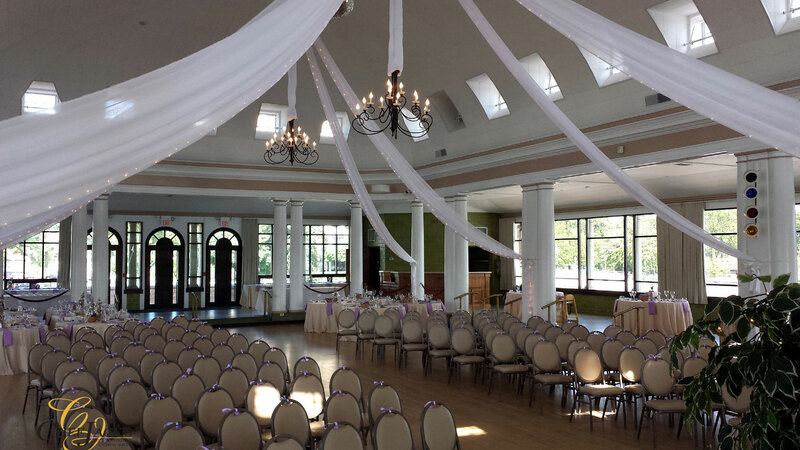 This 7200 sq’ hall provides a commanding view of Geneva Lake. 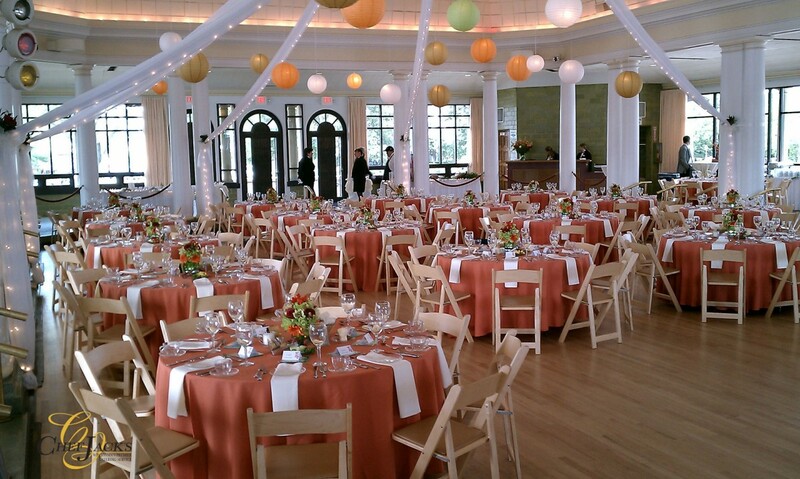 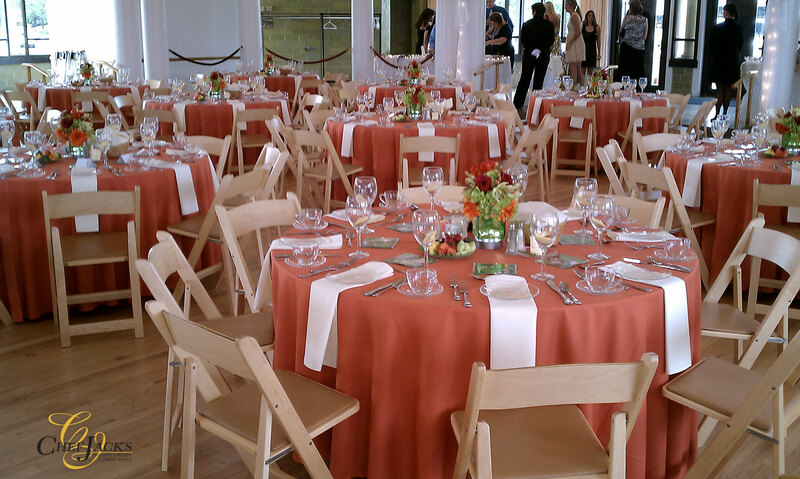 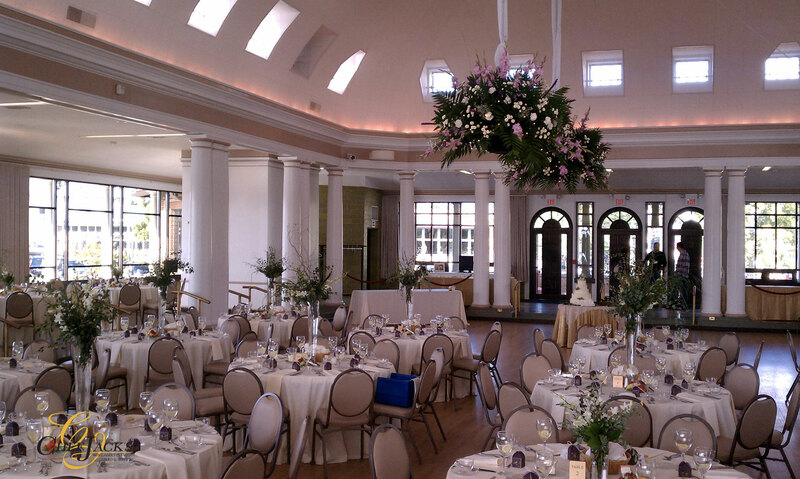 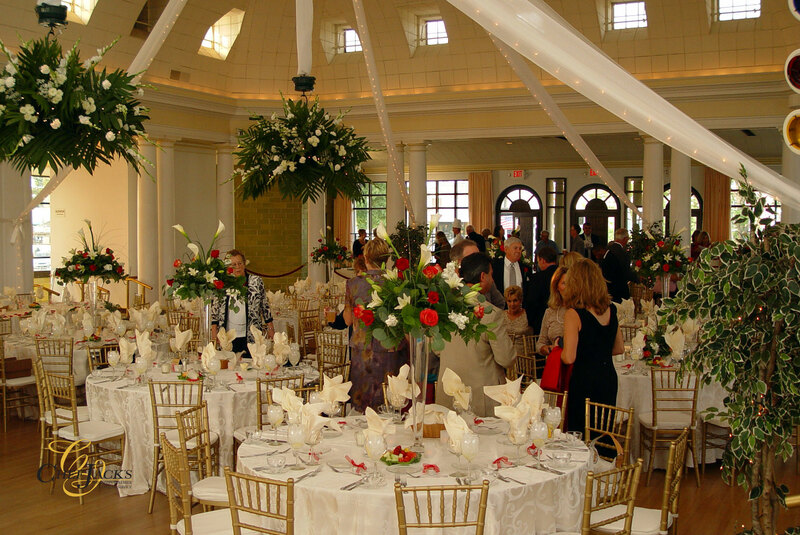 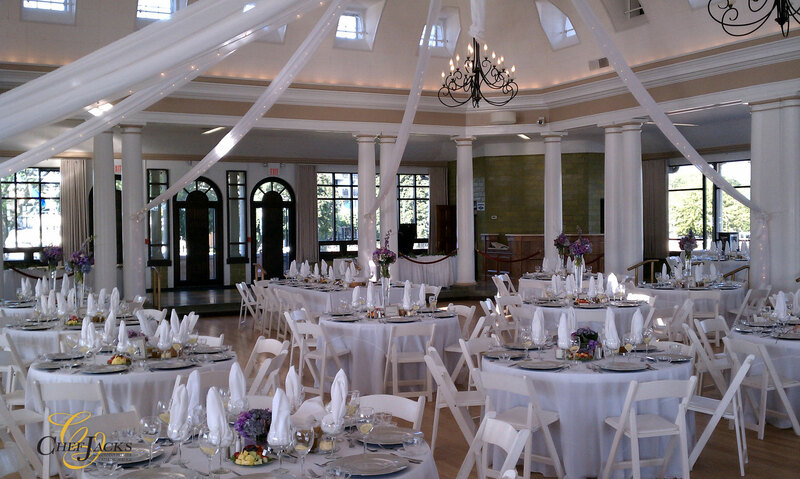 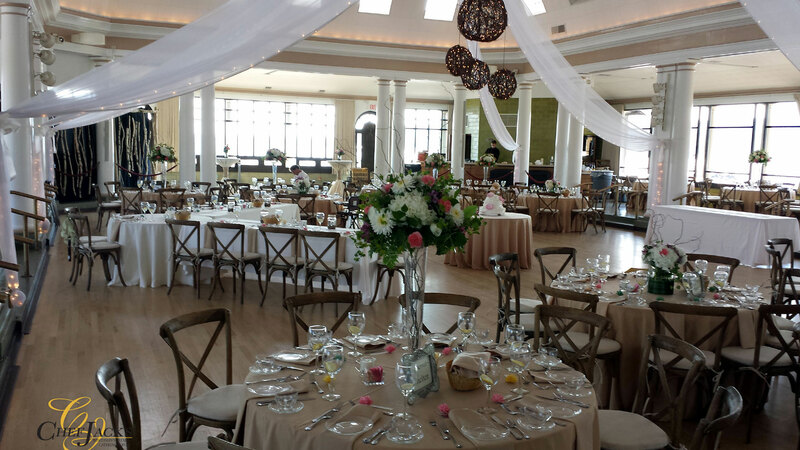 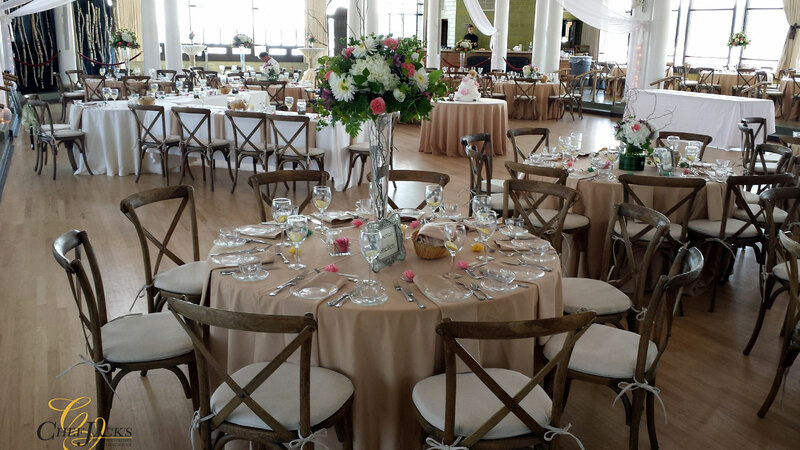 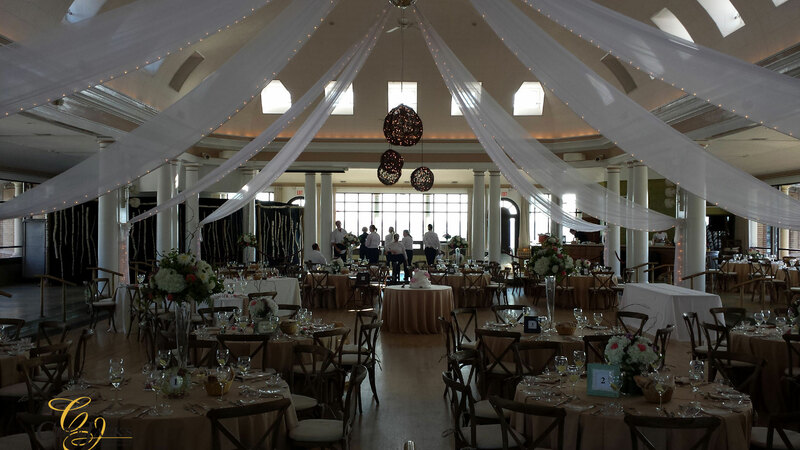 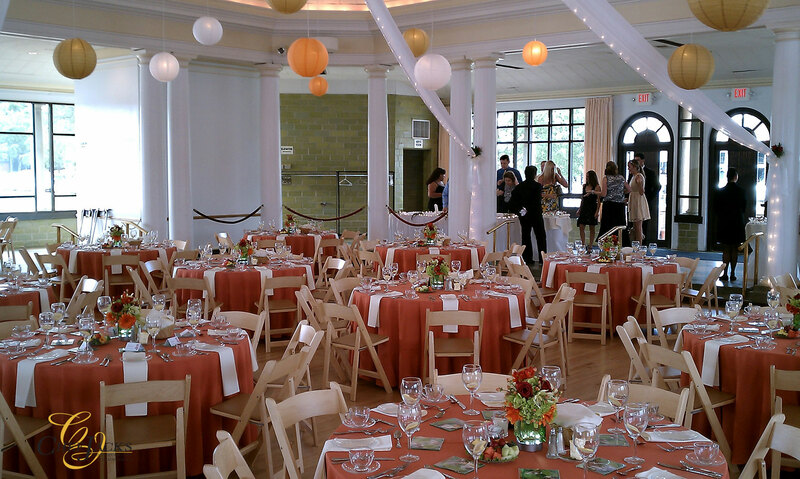 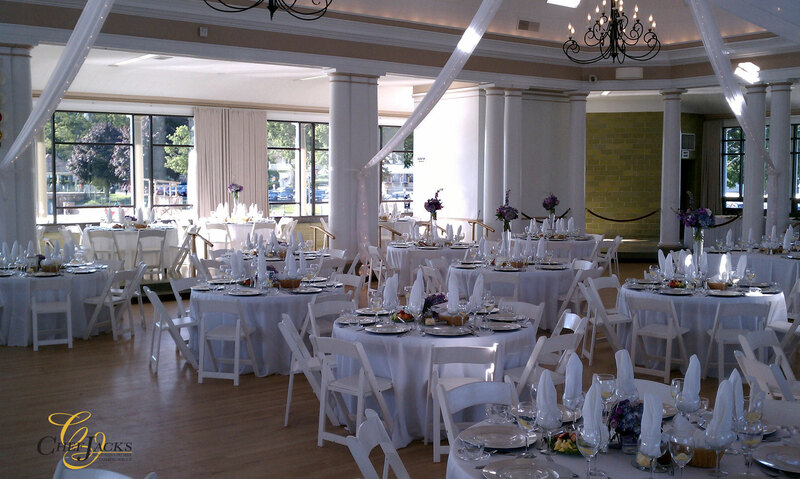 The Riviera handles 300 for sit down dinners and is ideal for your wedding. 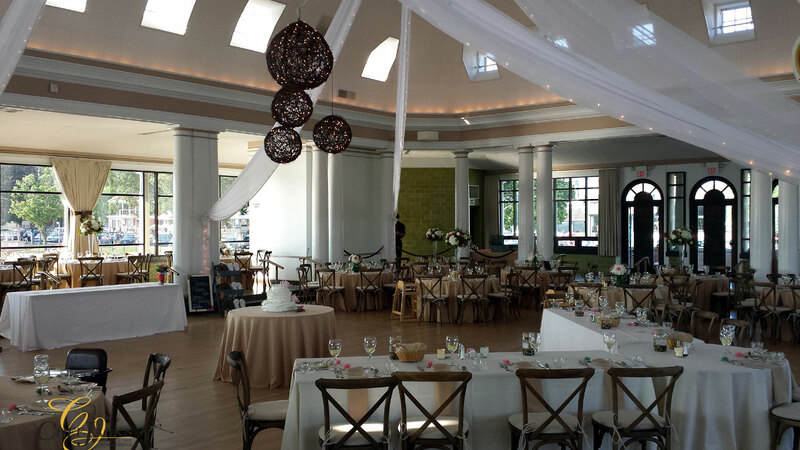 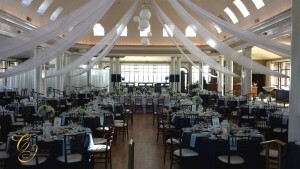 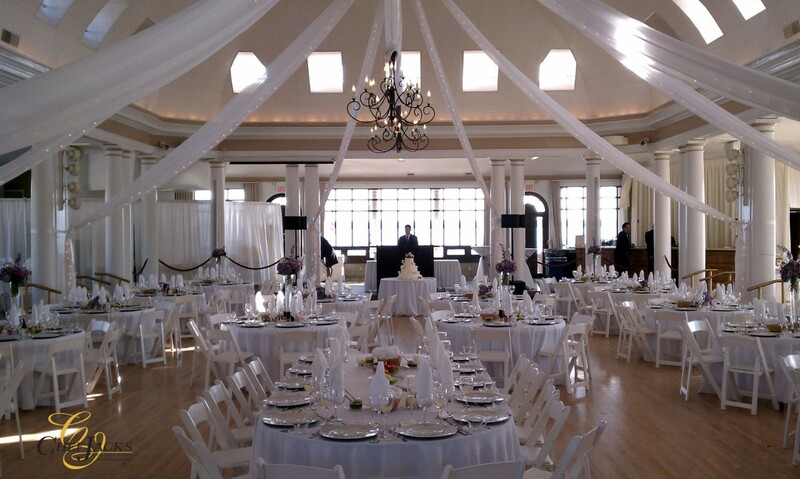 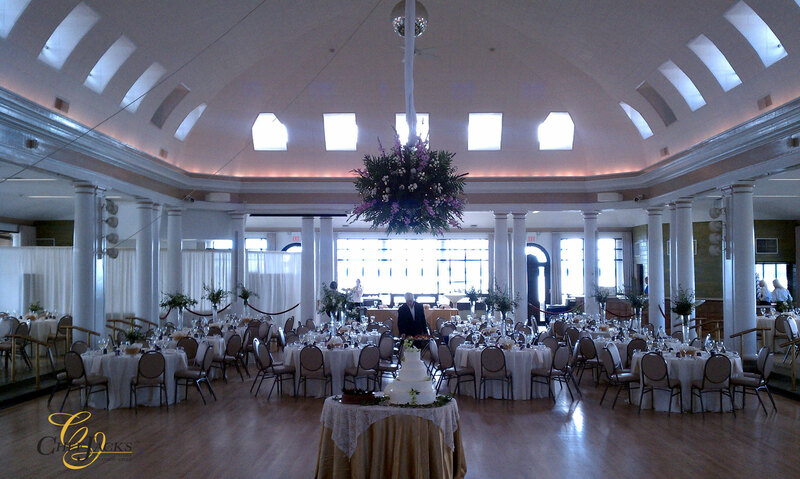 Lake Geneva Riviera Ballroom weddings and catering by Chef Jack’s. 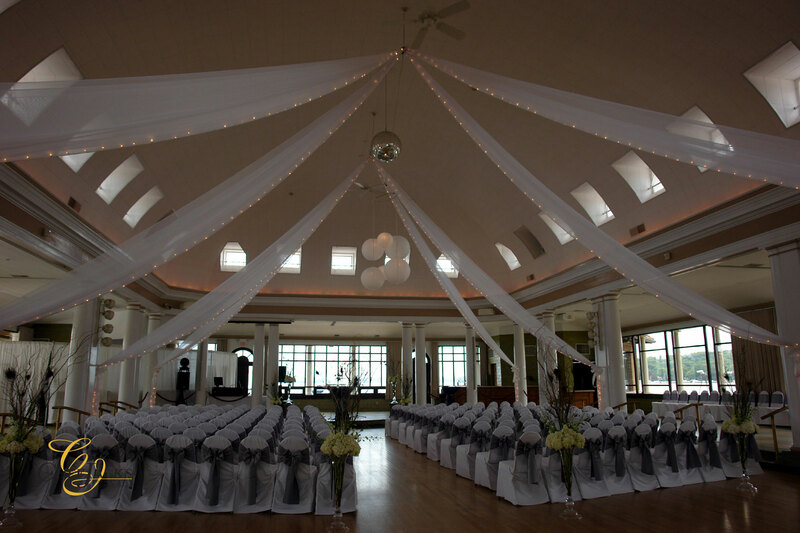 The Riviera Ballroom Lakefront Facility is situated in the heart of the downtown lakefront business area which consists of restored historical buildings occupied by boutiques, shops and restaurants. 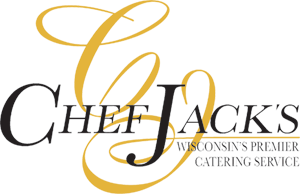 When it’s time for a break, you may also decide to encounter the out-of-doors with a walk along the 26 miles of wooded lakeshore trails or fish for bass, walleyes, perch, bluegills or northern pike off The Riviera piers. 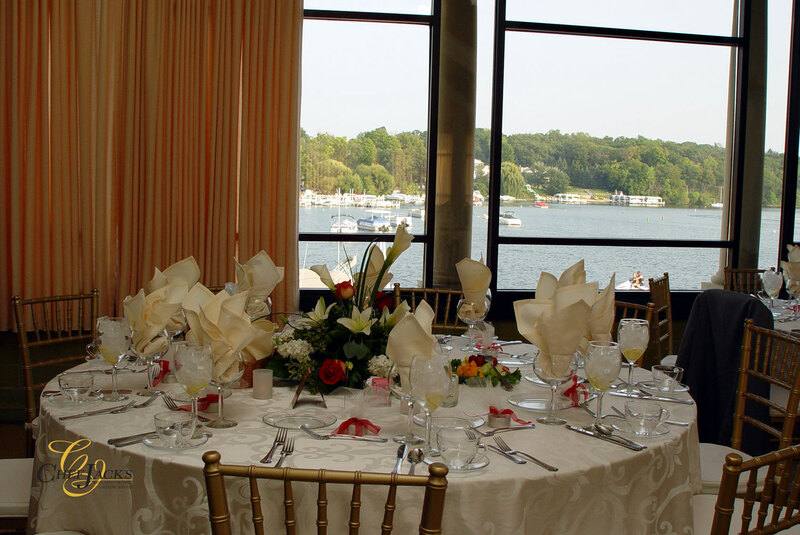 Daily cruises around scenic Lake Geneva also depart from The Riviera Ballroom Lakefront Facility. 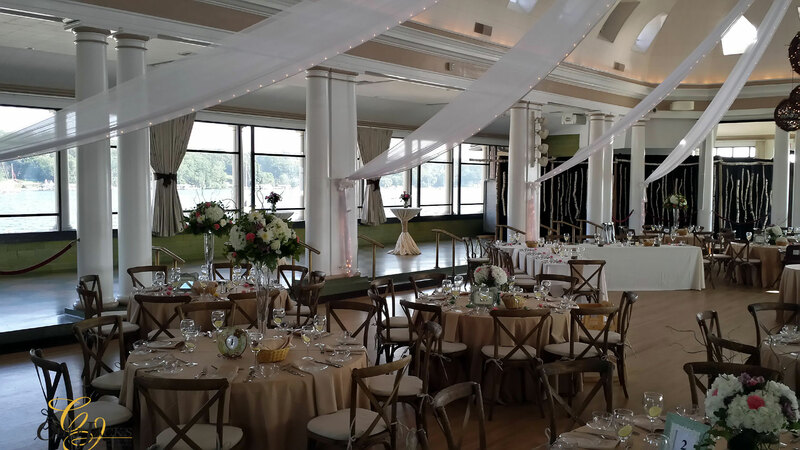 Two of six excursion boats are restorations of historic steam yachts.